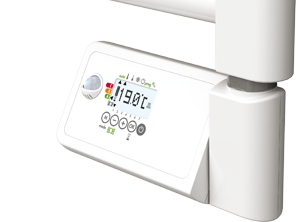 Due to their frontal infrared sensor, the EcoSens® products detect movement in the room where they are installed and in case of absence, proceed to automatically and progressively reduce the setting temperature in successive steps : energy savings guaranteed. 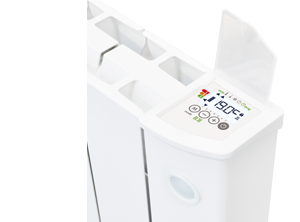 > Ensures savings on your energy bill : an automatic lowering of the temperature avoid unnecessary heating in unoccupied rooms, save money. > Adapts to your lifestyle : heat the room when necessary, the right temperature all the time. Make it as savings during long absences to reduce energy spending of your home! > A tenant has forgotten to turn off the heating before leaving? The EcoSens® products will automatically lower the temperature in periods of long absences and will maintain a frost protection temperature in your system until the arrival of the next tenant.